Like most mountain bike companies, the staff at Yeti Cycles likes to head out around noon and hammer the local trails on a lunch ride. 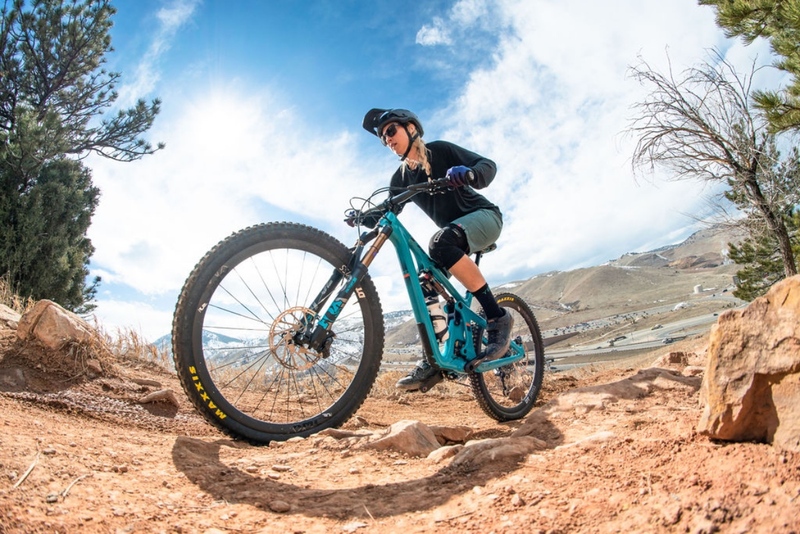 And like most two-wheel’centric outfits with access to copious components, the employees like to mix and match parts to suit their preferred riding style and terrain. The result are bike builds that often differ from original spec, bigger tires here, a beefier fork there. Call it the Lunch Ride build — and now it’s available to the rest of us. 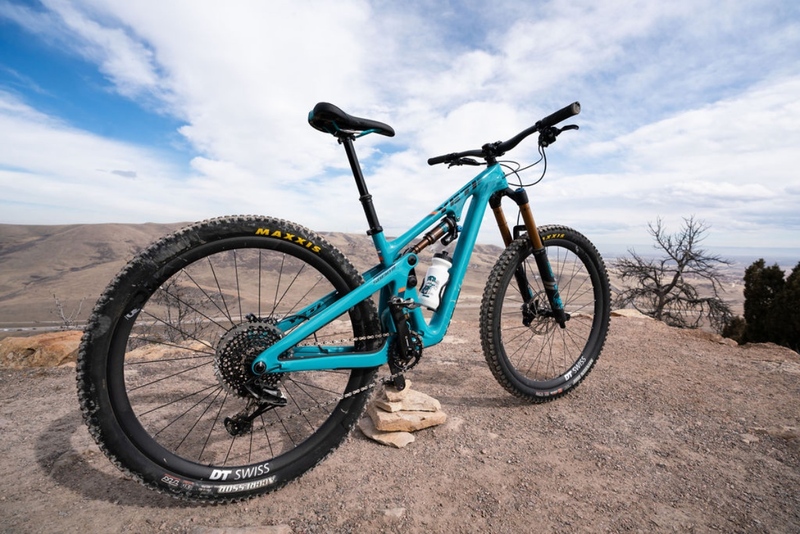 At last weekend’s Sea Otter Classic in Monterey, California, the Yeti SB130 LR (as in lunch ride) was unveiled by the Golden, Colorado-based company, mimicking those staff builds, and perhaps offering what many Yeti fans had wanted in the first place. 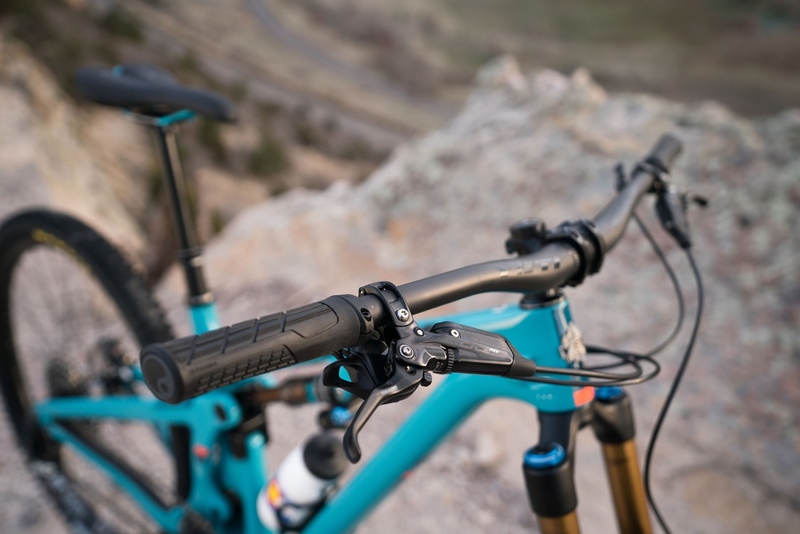 The LR model comes with a GRIP 2 enhanced 160mm fork (instead of 150mm sans GRIP 2), and rather than 130mm it has 136mm of rear travel via an over-stroked FOX Factory DPX2 shock. Those changes drop head angle about half a degree to 65.1 and raises BB height a touch (from 337.7mm to 340.8mm). You also get upgraded from Shimano XT 2-piston brakes to more powerful SRAM Code RSC stoppers, plus they bump to a 200mm front rotor from the standard 180mm. Drivetrain is SRAM XO1 Eagle with a 30t chainring instead of the 32t that comes on the standard SB130 XO1 build. 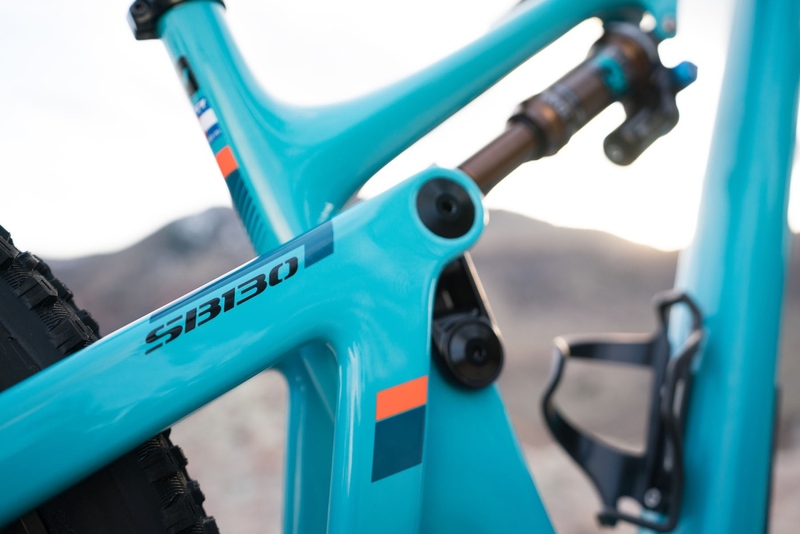 The cockpit features 800mm carbon bars (versus 780mm) mated to a 40mm stem. 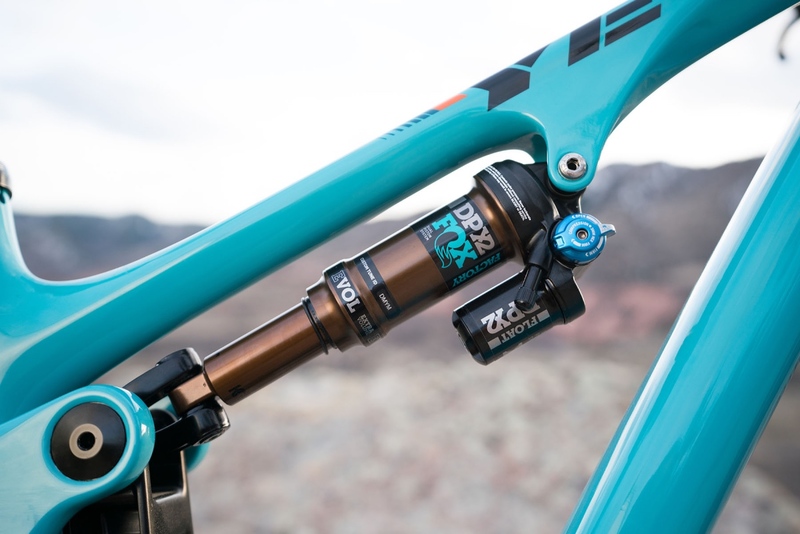 Even the Fox Transfer dropper post gets “lunched” increasing from 150mm travel to 175mm for the L and XL frames. Claimed bike weight is 29.3 for a size medium, and price for all this workday fun is $7599, or $400 more than the comparable XO1 “breakfast” build. 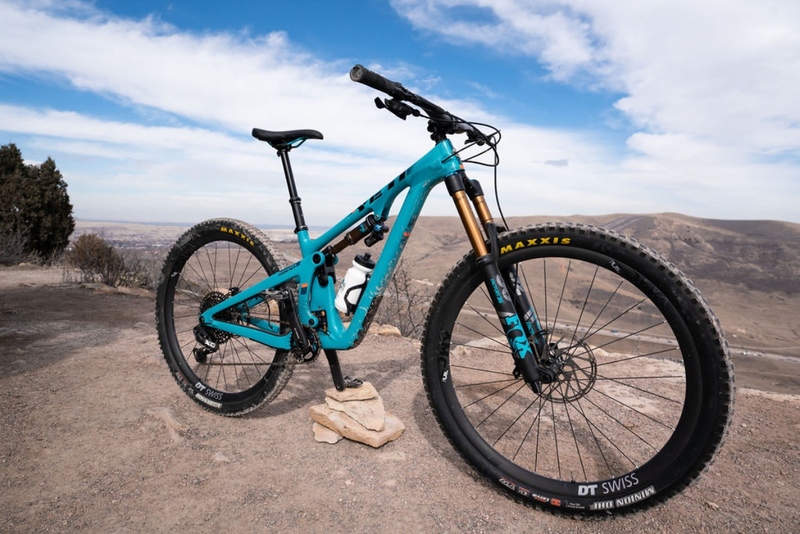 Read the Mtbr First Ride Review of the Yeti SB130. Get more spec details at www.yeticycles.com and see the full Yeti SB130 LR geo chart here.